Click fraud currently costs the advertising industry upwards of $6bn a year, according to the US-based Association of National Advertisers, and it’s prevalence in the programmatic media buying sector is regularly cited as a major reason not to invest in such technologies. Earlier this month, both Shell and Nestle – a company that spends upwards of $3bn a year on advertising – outlined their insistence on quality ad traffic at the IAB UK’s programmatic advertising conference. This comes in close proximity to several high profile exposures of click fraud, most notably the Rocket Fuel affair, one that many said was an unfair reflection of the company. Public outcries such as these have led to several (equally high-profile) measures to address the problem, notable initiatives includes AppNexus’ ‘guaranteed traffic’ initiative, one that includes several third parties, such as DoubleVerify, and Xaxis. Yesterday (23 March) OpenX joined this wave of assurances to advertisers, with the announcement of its Traffic Quality Platform. OpenX claims this platform is unique, given that its new system enables an exchange to have the earliest possible look at publisher inventory and extends fraud detection techniques to the browser. ExchangeWire quizzed John Murphy, OpenX, VP, traffic quality, on the new initiative. Read further below. EW: How does OpenX’s Traffic Quality Platform work? The press release says it ‘uniquely leverages OpenX’s direct tag integrations with publishers’. Is that how your Traffic Quality Platform differs from other (similar) propositions on the market? JM: OpenX’s third-generation proprietary Traffic Quality Platform leverages OpenX’s direct-tag integrations with publishers to provide the earliest possible look at publisher inventory. Extending our detection capabilities into the browser itself to validate that the machine has not been compromised is truly a differentiated approach among exchanges and SSPs. The new system represents the first time an exchange has leveraged direct-tag integrations with publishers to extend fraud-detection techniques into the browser itself. EW: How does this method differ from OpenX’s previous platform? JM: The new system builds upon the previous platform, which detects and blocks suspicious activity, mainly through big-data analysis – the gathering and evaluation of vast amounts of transaction data. Our new system allows us to make the most of our privileged position on the publisher page to detect activity in the browser itself that indicates a compromised machine. The end result is a fully integrated platform that addresses all major risk factors for advertisers through a combination of rigorous human and sophisticated automated systems. EW: The press release goes on later to say that this vetting takes place via ‘a combination of rigorous human review and sophisticated automated systems’. Does this mean a human checks every impression, and does this added human moderation layer also differ from the previous proposition? JM: OpenX’s existing traffic quality platform incorporates rigorous human review, whereby 30-40% of sites seeking to participate in our exchange are rejected for failing to meet our quality standards. This complements our automated systems, which utilise advanced statistical techniques to evaluate all traffic in real time and block invalid traffic from entering the OpenX Ad Exchange. This aspect of our Traffic Monitoring Platform first launched in August 2013 as a feature in our second-generation platform. EW: In addition, what kind of inventory is your Traffic Quality Platform running across? Mobile? Native? Video? JM: OpenX’s Traffic Quality Platform runs across our entire exchange, which includes desktop, mobile, native, and video formats. Our Traffic Quality Platform is at the core of our success in operating one of the most efficient and highest quality programmatic markets in the world. This is evidenced by our number one ranking in inventory quality in the Pixalate Global Seller Trust Index for three consecutive months. EW: How much of a problem is fraudulent traffic in the inventory overall? Would you be able to estimate how much it is costing advertisers? JM: Bots and other non-human traffic have plagued the digital advertising industry. According to the baseline study conducted by the ANA and White Ops, approximately 17% of programmatic traffic is non-human. Of course, this varies widely by exchange. Ultimately, invalid traffic has become a $6bn problem for the industry as whole. EW: In addition what measures are being taken at an industry-wide level to address this? Plus, who is best placed to address this problem? The buy-side? The sell-side? JM: Programmatic is the fastest growing aspect of advertising, with revenue in the US expected to double to $20bn by 2015. Given this explosive growth, programmatic is a focal point for both buyers and sellers in 2015, as they seek to maximise the value of their spend and monetisation. OpenX’s latest advancements in its traffic quality system enable the company to address the quality issues plaguing the industry by providing a cleaner and more secure marketplace. The industry has recognised ad fraud as a growing problem – for instance, the IAB established a task force in 2014 called Traffic of Good Intent, which recommended a number of business practices that advertisers can take to reduce fraud. This work has now been taken on by the Trustworthy Accountability Group, an advertising industry initiative to address problems in digital advertising like non-human traffic, piracy, and malware. We strongly support their efforts. We believe everyone has a role and a responsibility to play in addressing fraud. However, because exchanges like OpenX sit between the buyer and seller, we are uniquely positioned to identify and block fraudulent traffic. We intend to make the most of this. 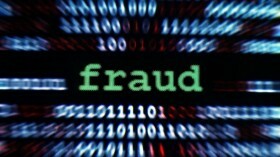 EW: Furthermore, is it realistic that the industry can crack the fraud problem when such ‘bad actors’ are at play? In your opinion, is it something that will have to be constantly policed by exchanges, particularly open ones? JM: Due to the industry’s explosive growth, programmatic is an attractive target for fraudsters. We recognised the threat posed to the industry back in 2012 and assembled a team of experts from across the industry to build and continue to develop our Traffic Quality platform. Since most bot traffic is now coming from residential IP addresses – real people’s computers that have been compromised via malware and rolled into a botnet – we need to get very good at identifying these compromised computers. This is an arms race and we must continue to become more sophisticated to battle the bots. EW: In the press release you state that because OpenX’s code sits directly on the publisher page, it is able to look into publisher inventory earlier that any rival pre-bid solution. Some would argue this could be detrimental to publishers’ pricing. What assurances do you make to publishers on your exchange that this isn’t the case? JM: This question doesn’t exactly pertain to the launch of our new platform. We’re not claiming to see the inventory for auction purposes prior to any of our competitors. The selection of which exchange/SSP has ‘first look’ is, and will remain, at the discretion of the publisher. We’re just saying that we see the traffic before the bid request goes out to the buyers, which is the point at which ad verification companies are able to evaluate it for fraud using their ‘pre-bid’ solutions.